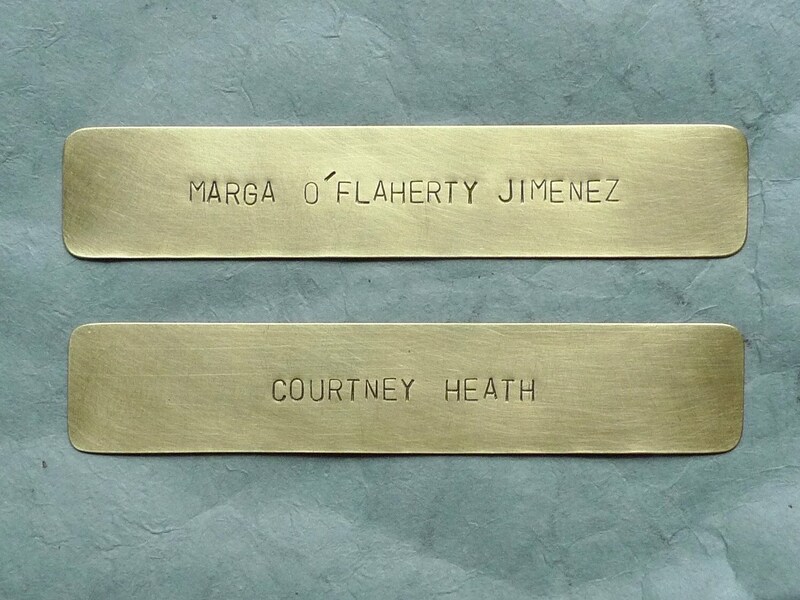 Personalized hand stamped brass bookmark keepsake. Add a name, date, short quote, favorite word or mantra. 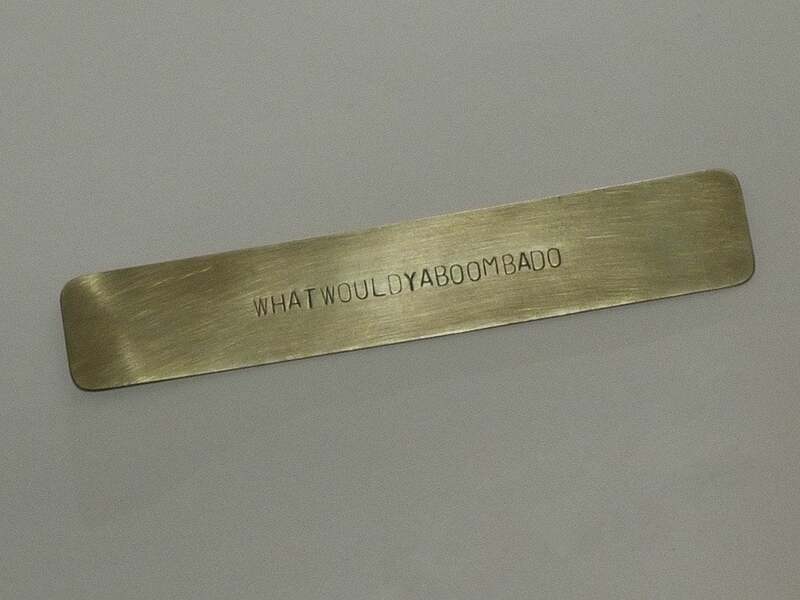 Each bookmark is unique, expect slight variations that add to the charm. The perfect gift for book lovers of all ages. BRASS: 8mm thick, Lightly brushed finish, choice of no patina so brass is shinier, light patina for a softly aged look or darker patina for a very aged look. 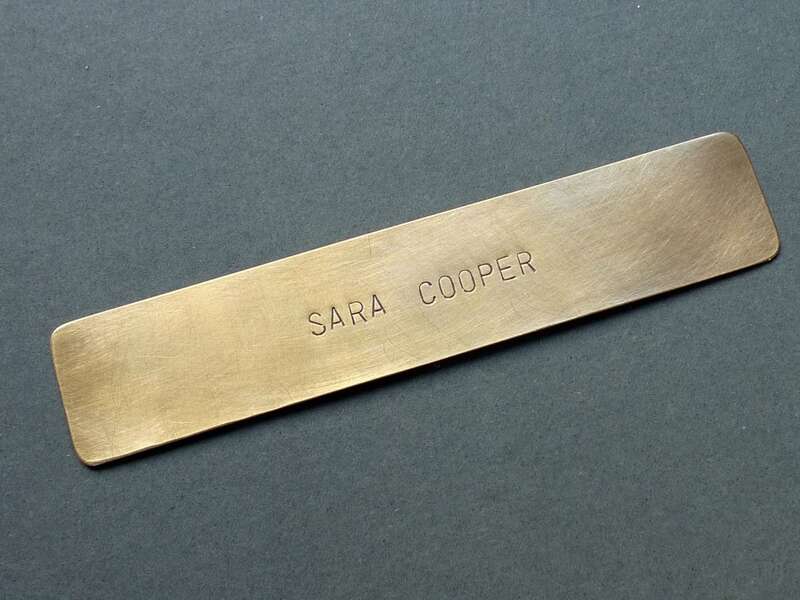 NOTE: Brass will take on its own patina over time if not polished. Please be sure to provide correct spelling and formatting and check your messages for questions and a proof photo to ensure a worry-free purchase. I LOVED this!!! It's beautiful. This was an anniversary gift to my husband who is a writer and avid reader. I put a meaningful saying of ours on it and was so proud to give it to him! I will definitely be back to order more as he loved it and so would others I know! !